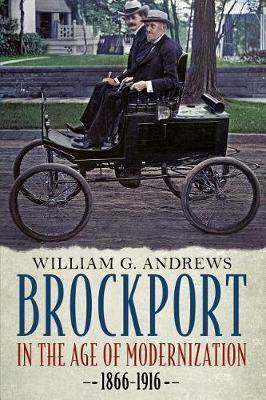 Brockport in the Age of Modernization is a case study of the transformation of an American village between 1866, the first year after the Civil War, and 1916, the last year before American entry in World War I. Fifteen activities are studied to show the process through which that transformation took place. They include the arrival of bicycles, automobiles, electricity, telephones, higher education, a consolidated school, concrete sidewalks, hard-surfaced streets, a municipal sewer system, municipal water, the rebuilt Erie Canal, home mail delivery, a fire department, and an intercity trolley. Some came about easily, but others required long, difficult struggles. In no other period was the village so significantly transformed. Many other small towns in America likely underwent much the same process during that period.